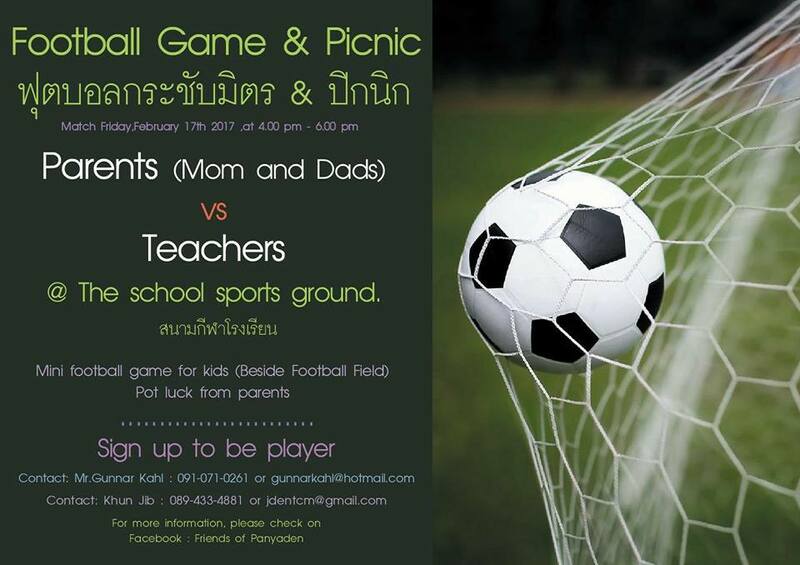 Panyaden’s Parents vs Teachers football match is coming up this Friday, 17 February. Time: 4-6pm at our football field. There will also be a mini-football game for children as well as a fun picnic! This entry was posted in Featured Posts, Upcoming Activities and tagged football match, Panyaden.